There were countless works written and produced in the pulp science fiction genre. This bibliography provides a small sampling of the seminal works. Alex Raymond's Flash Gordon (Alex Raymond, original published 1934-1945). This set of hardcover books collects the original comic strip series. Armageddon 2419 A.D. (Philip Frances Nowlan, original published 1928). 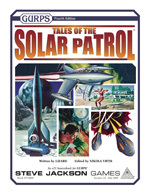 This is the book upon which the Buck Rogers comics and television series was based. Buck Rogers in the 25th Century (Philip Frances Nowlan, 1994). A full-color reissue of comic book that had been offered as a premium. Lucky Starr (Isaac Asimov, originally published 1950s). Under the pseudonym Paul French, Isaac Asimov wrote a series of books about his version of space rangers. Heinlein Juveniles (Robert A. Heinlein, various dates). Heinlein wrote a series of science fiction novels specifically for young adults, including Rocket Ship Galileo, Space Cadet, Red Planet, Between Planets, The Rolling Stones, The Star Beast, Tunnel in the Sky, Time for the Stars, Citizen of the Galaxy, Have Space Suit – Will Travel, Farmer in the Sky, Starman Jones, and Podkayne of Mars. Wings Over Tomorrow: The Collected Science Fiction of Philip Francis Nowlan (Philip Frances Nowlan, 2005). A collection of work by the man who brought the world Buck Rogers. Buck Rogers (Ford Beebe and Saul A. Goodkind, directors, 1939). A collection of the original serials. Captain Video: Cliffhanger Collection (Spencer Gordon Bennet and Wallace Grissell, directors, 1951). Touted as the first television show to be adapted to the big screen, this set follows some of the exploits of Captain Video as he and his rangers travel among the planets, bringing freedom and justice. Flash Gordon: Box Set (Ford Beebe, director, 1936-1940). A collection of the three original Flash Gordon serials. Rocky Jones, Space Ranger Collection (Hollingsworth Morse, director, 1954). A selection of half-hour episodes of from the Rocky Jones television series. Sky Captain and the World of Tomorrow (Kerry Conran, writer/director, 2004). 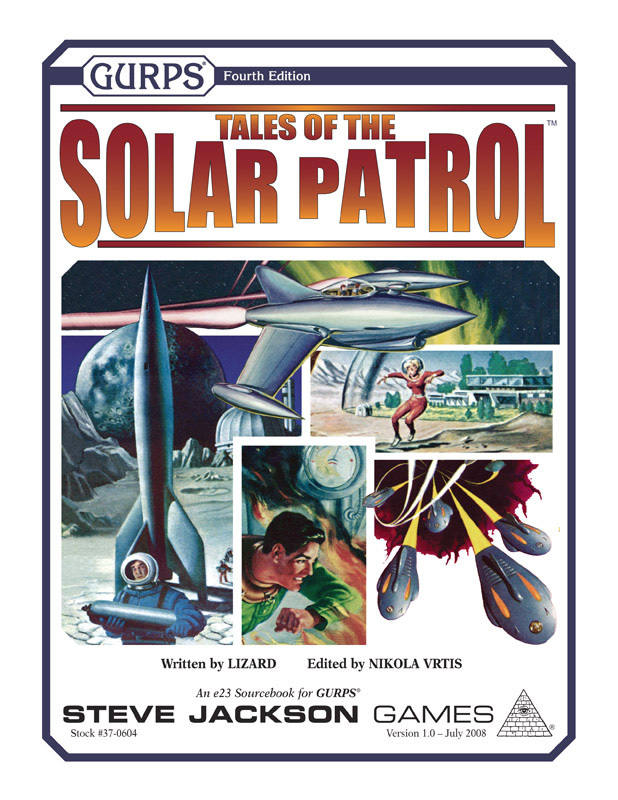 This modern movie presented in the campy 1930s science fiction movie style is set on Earth, but it can provide inspiration for planet-bound Tales of the Space Patrol adventures (and it might be easier to find than other titles listed here). Space Opera Serials Wikipedia template. Tom Corbett, Space Cadet books by Carey Rockwell.